You’d think we’d be over stunning desert scenery after our travels in Texas and New Mexico, but then we arrived in Utah. This has been one of my favourite — and one of the most surprising — states that we’ve explored so far. 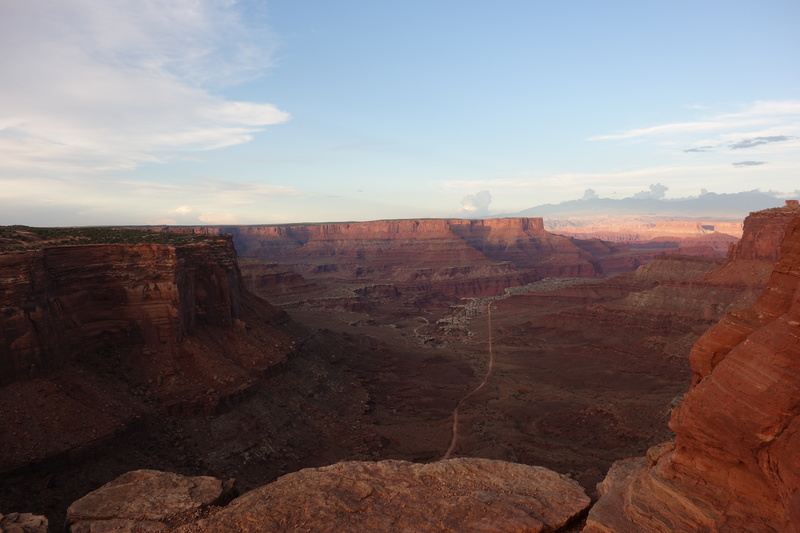 We started in Canyonlands National Park, where recent rain had cooled down the temperature for a far more pleasant camping and hiking experience than I had expected. 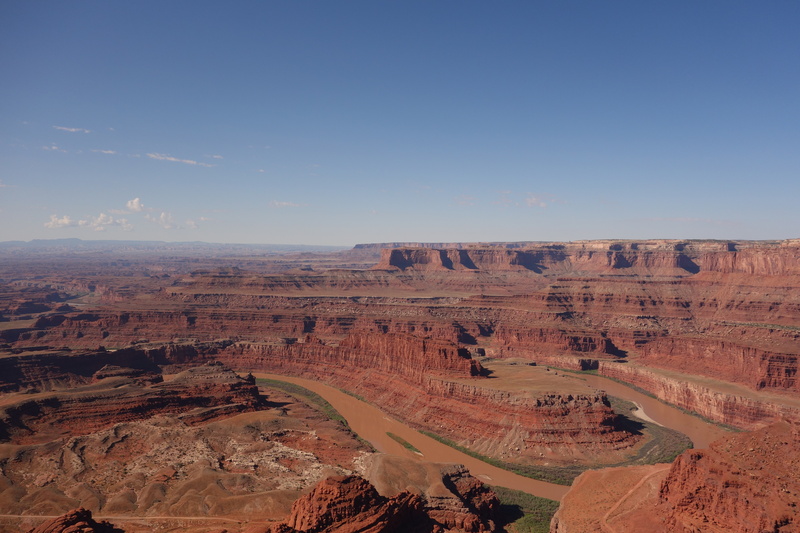 We began with yet more amazing views over nearby Dead Horse Point State park, which is strangely not a national park. This area is also full of cross-country mountain bike trails that even I was game to try, given the stunning backdrop. 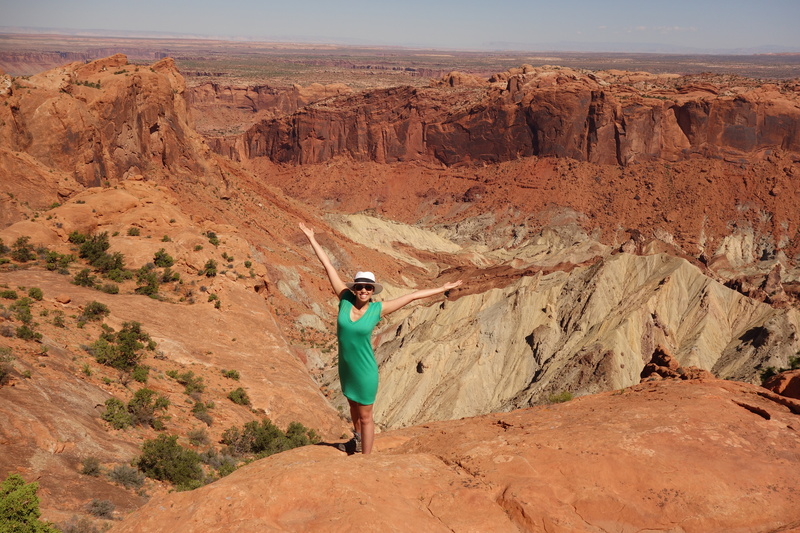 One of my favourite hikes so far was at Canyonlands — the 17.4km Murphy Loop Trail. 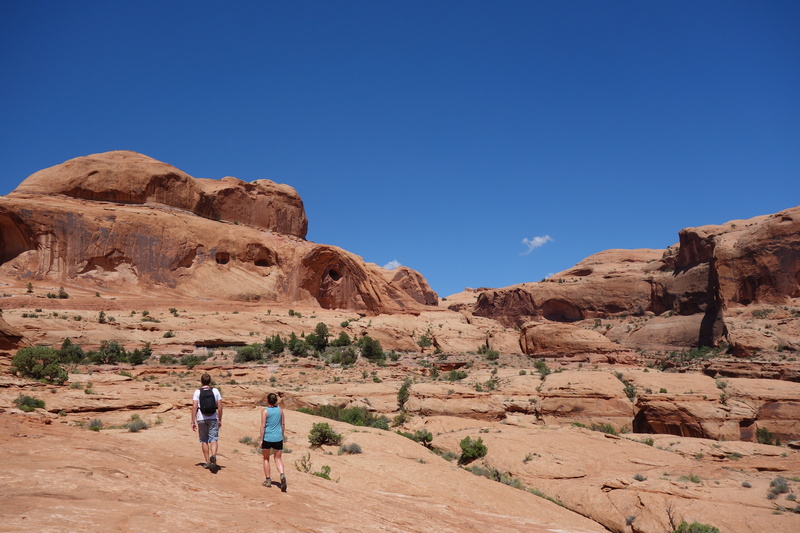 It led us down the canyon to White Rim Road, where we could see the different levels of rock sediment and how the vegetation changed as the altitude dropped. 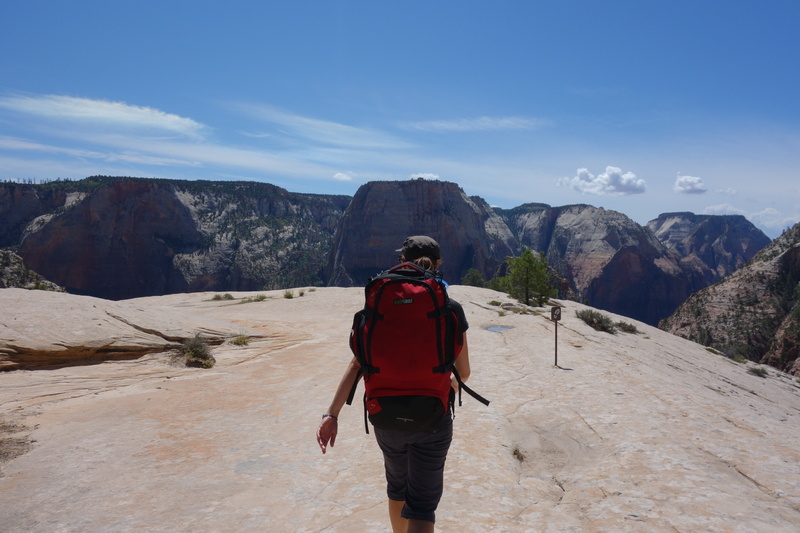 Parts of the hike involved scrambling along a cliff — scary, but definitely a trip highlight. The names of these parks are pretty self explanatory. 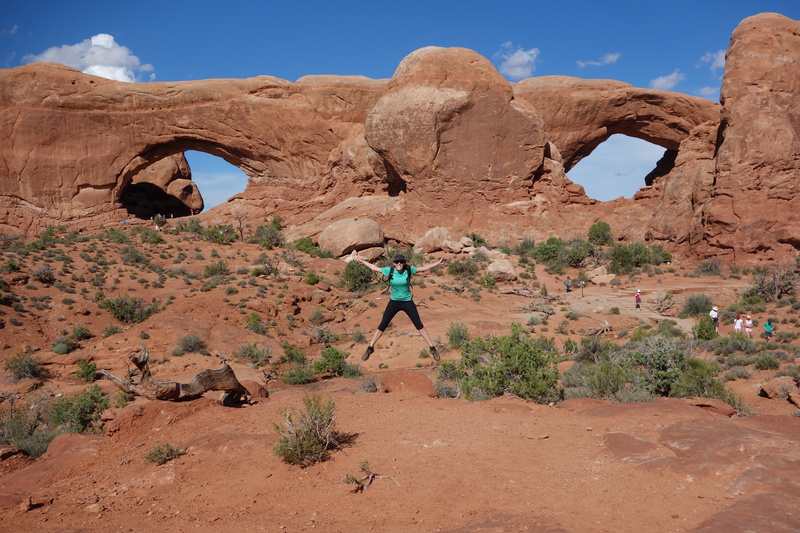 Canyonlands really was a whole bunch of huge canyons, while Arches has the most naturally formed rock arches in the world. Both are simply amazing. The hike up to Delicate Arch at sunset and Mesa Arch at sunrise weren’t as solitary as I’d like, but the colours of the landscape were worth facing the crowds. Again, our trip coincided with friends in town. 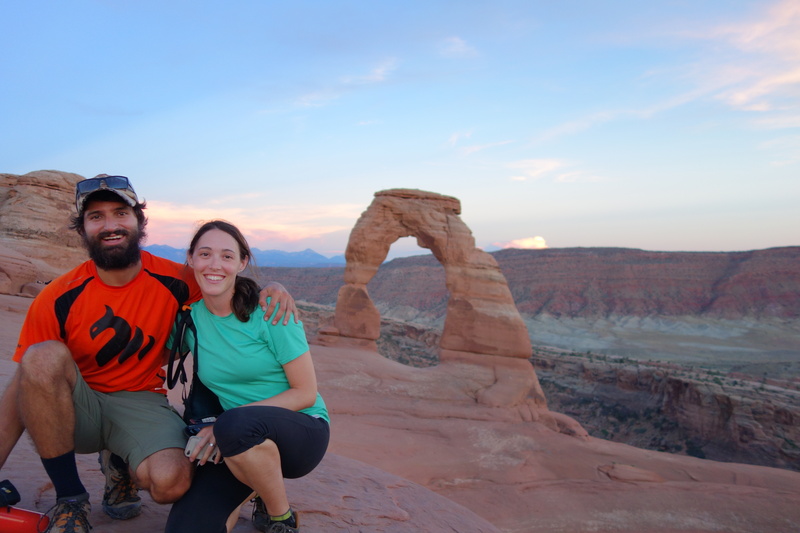 We swapped camping for the luxury of a house with a pool in Moab, where Dan took on some more challenging mountain bike trails while I explored some arches off the beaten track. Outside the park, the wonders didn’t stop. 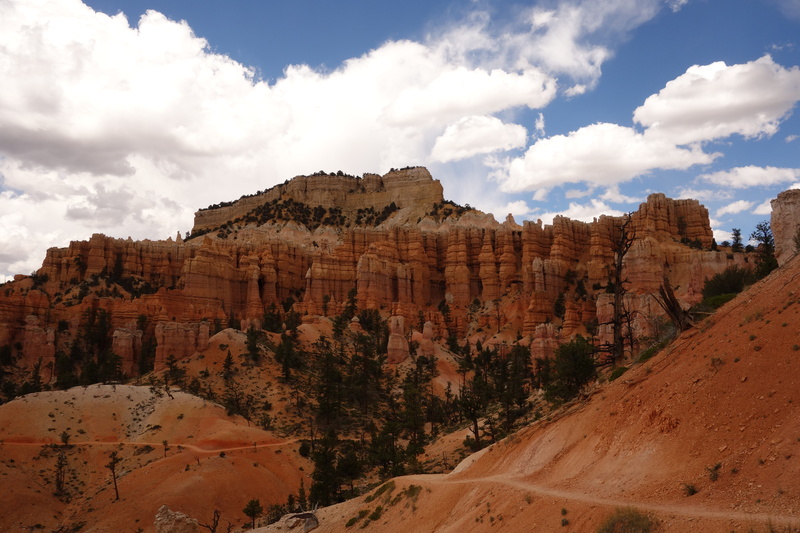 The drive along Highway 12 and 24 to Bryce Canyon took us through winding cliff passes, narrow necks of road, huge rock formations and colourful Capitol Reef National Park. The desert has a way of getting under your skin. The biggest surprise has been just how green it can be, although this could also be because we visited in August, the rainiest month. Landscapes alter dramatically within a few miles and even if you suffer from “scenery fatigue,” it’s hard to get bored. 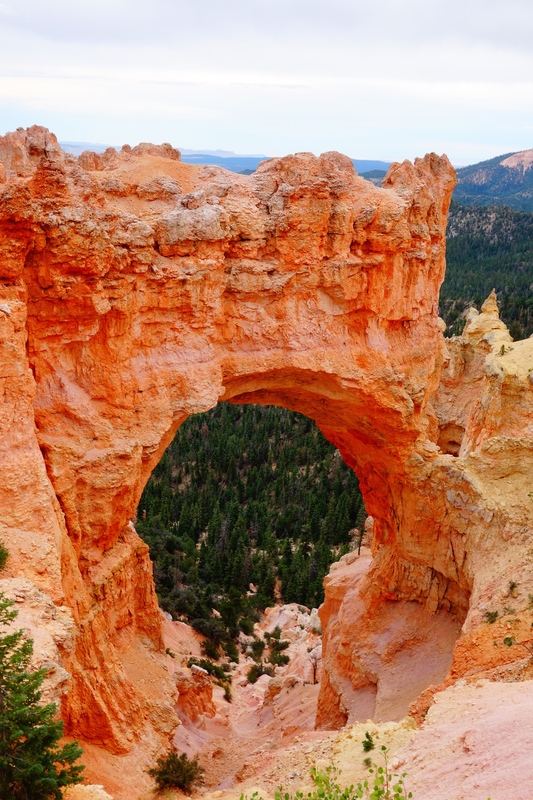 There’s always a hike, mountain bike trail or some other adventure just waiting to be explored. 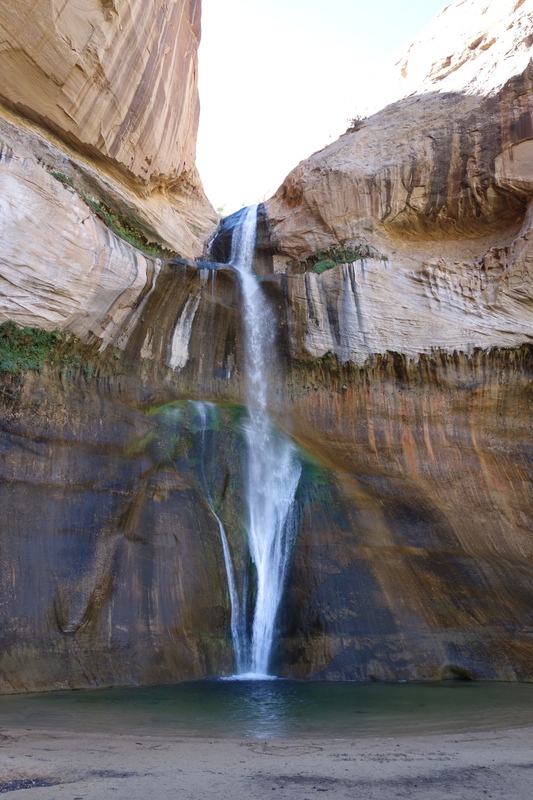 For instance, halfway to Bryce Canyon we stopped at Grand Staircase-Escalante National Monument to find the infamous hidden waterfall in the middle of the desert. 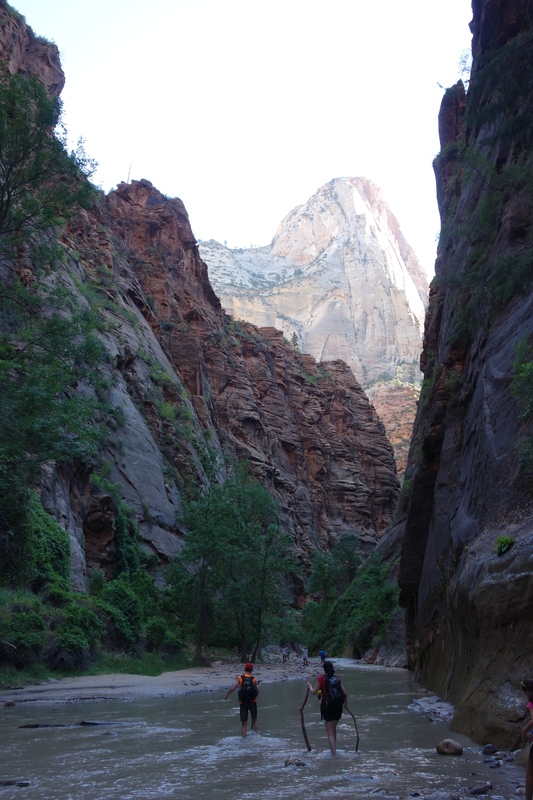 A three mile, relatively flat hike rewarded us with this oasis —and a surprisingly chilly dip! 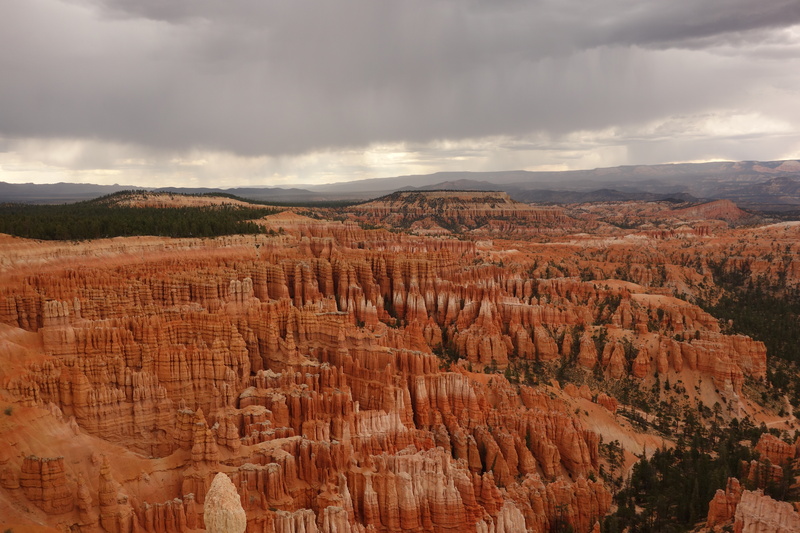 By the time we reached Bryce, it’s possible that we were starting to experience the dreaded scenery fatigue. Thankfully, Bryce was different to anywhere else we’ve been. 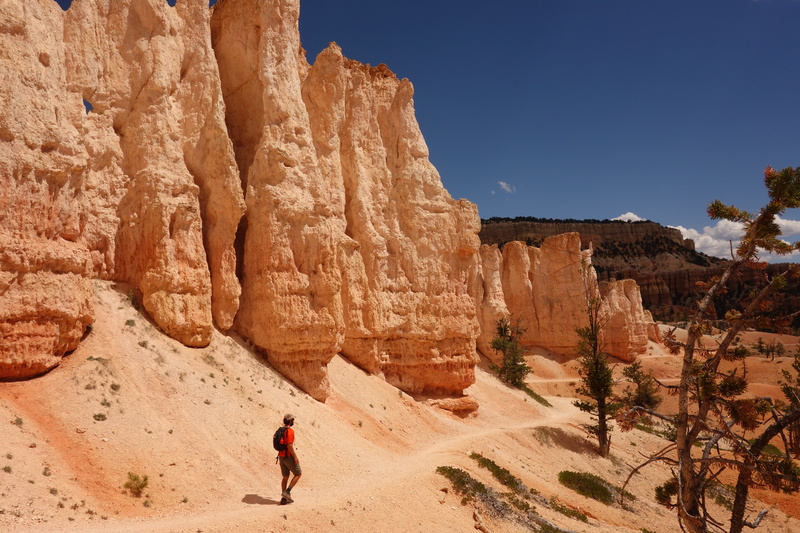 Long, thin, strangely-shaped “hoodoos” (eroded rock spires) in candy colours make up the “canyon”, which is really an eroded valley and natural ampitheater. 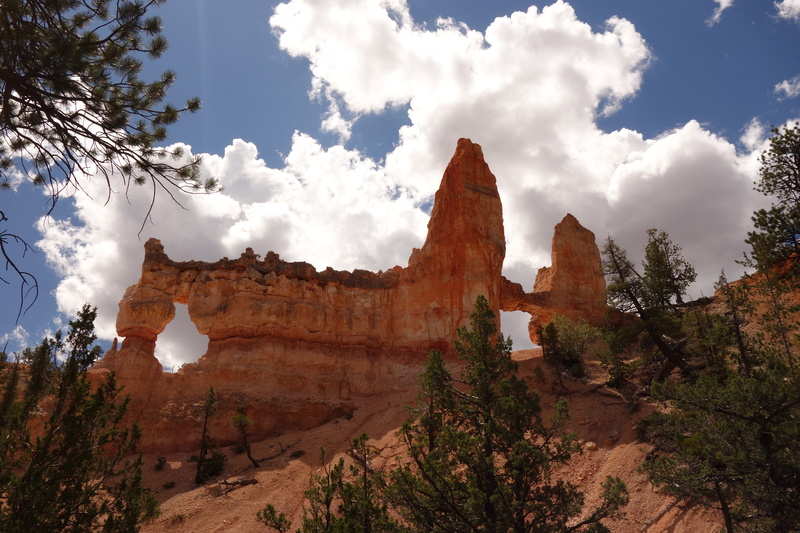 A hike into “fairyland” let us get up close to these strange structures, while a short hike into back country gave us a night away from the park’s crowds. 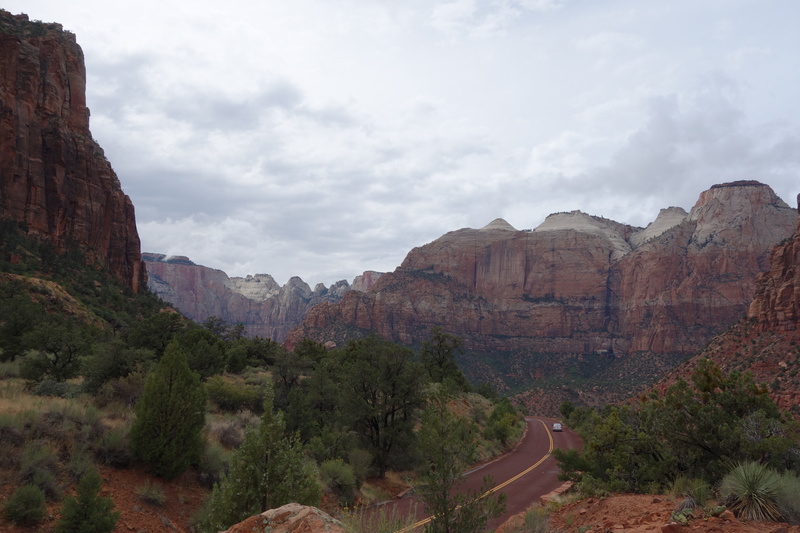 Still, even after exploring three Utah parks, nothing prepared me for Zion National Park. 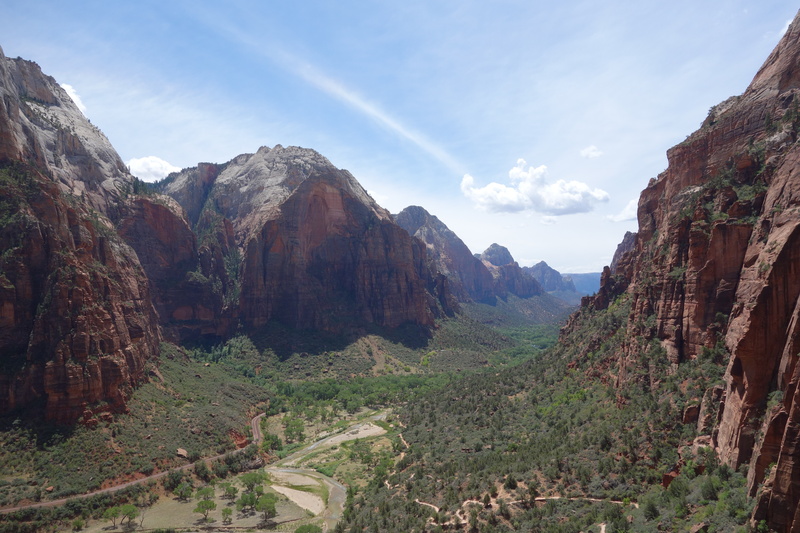 Towering cliffs, red rocks, and hidden pools — you can see why the early Mormon settlers named this spot after a place of sanctuary and refuge. 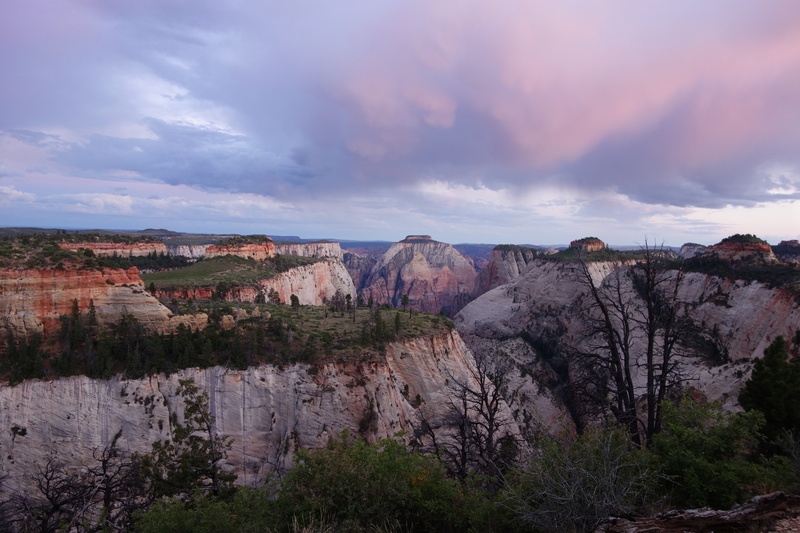 We managed to squeeze in a few hikes during our short time there, including the vertigo-inducing scramble out to Angel’s Landing (which I was very, very tempted to skip) and an overnight trip to the West Rim Trail. Tiring, but again, worth it for the views! 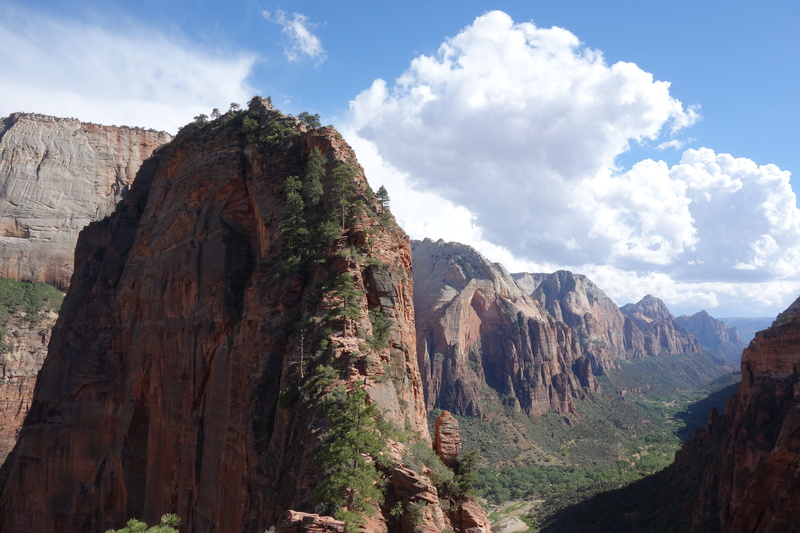 Our somewhat terrifying destination: Angel’s Landing. Finally, on our way back to Colorado (to visit more friends!) 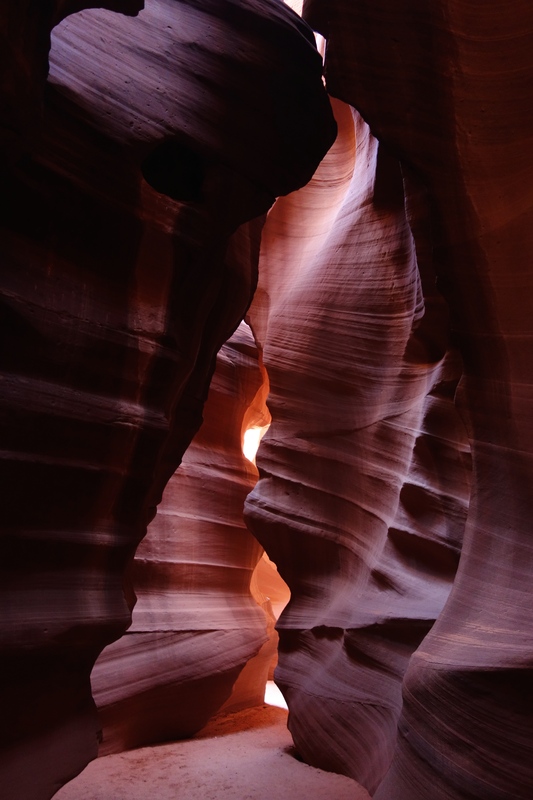 we swung past the twisted and womb-like Antelope Canyon in Arizona, before settling into Mesa Verde National Park, Colorado, for the night. 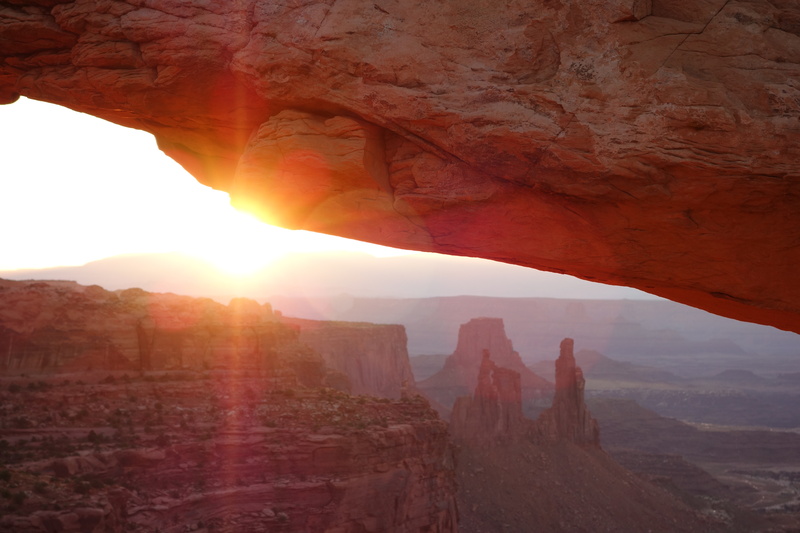 Unlike the other parks, Mesa Verde’s focus is less on natural scenery and more on preserving the cliff dwellings of an ancient Pueblon civilization. Definitely a unique experience. There have been countless other jaw-dropping overlooks, stops in tiny Mexican-influenced towns, and amazing drives — it’s impossible to list them all. All I can say is that you’ll have to come experience the south-west for yourself! Beautiful! Your photos are causing me to relive our trip to many of the same places last spring. I loved every minute of it and can’t wait to go back.